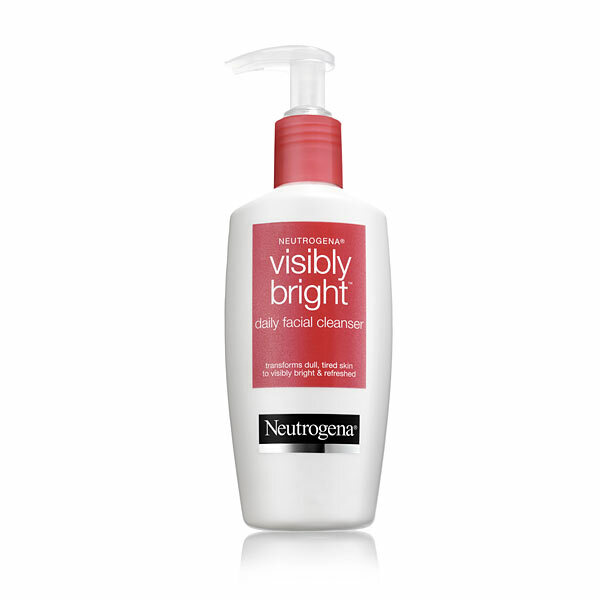 REVIEW: Neutrogena Visibly Bright Cleanser | Belle Extase- beautiful ecstasy. This is a review on the Neutrogena Visibly Bright Daily Facial Cleanser. Review: I bought this product awhile ago when I needed a daily facial cleanser that wasn’t specified for acne or exfoliating. I just wanted a product I could use everyday that wouldn’t necessarily treat the above because I already have those products, and don’t use them everyday. So I bought this. At first, I was skeptical because I wasn’t sure how a product could visibly brighten your skin and make it look less dull. The first few times I used it, I noticed my skin felt soft, clean, fresh. I also looked more awake than I felt (I only use this product in the morning). So, I was kind of whatever about it in terms of the “visibly bright” part. The cleanser smells nice, is a beautiful gold color with micro-shimmer, (it will not leave your face shimmery or shiny like a highlighter or illuminating powder, btw) and cleansed my skin well. It says you have to shake the product before using it, which I do, because I feel as if the product works better. (I’m not sure if the product separates like nail polish. I can’t really tell because the bottle is not see-through). BUT THIS MORNING, my skin looked so dull when I woke up. It even had a slight grey tone to it and the darkness under my eyes was so visible, more than usual. So I decided to use this product. I vigorously shook cleanser and pumped more on my hand than usual. After I had washed my face with it, I looked in the mirror and, WOW! MY SKIN LOOKED SO GOOD. My skin looked brighter, less dull, the grey tone was gone, and my skin was glowing. I was so impressed with the results I received this morning! Even my under-eye circles looked less dark! Before this day, I would have rated the product a 3.5/5 or a 4/5, but after these results, I’m giving it 4.5/5. I am docking off .5 because of the shaking part. I’m lazy and always in a hurry, so if you didn’t have to shake it every time before using it, it would have been a solid 5!